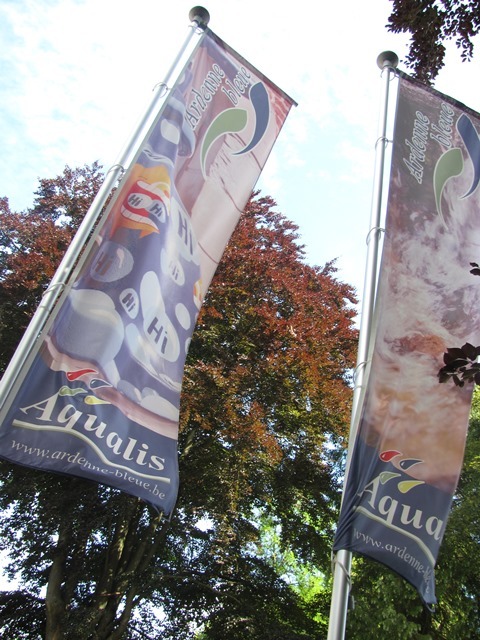 AQUALIS is starting its fourth period of public appointment by promoting tourism more than ever before in Verviers and the surrounding area (under the name of Ardenne Bleue). AQUALIS has changed much during its first fifteen years of existence. The achievement of the company’s tasks has become clear over time. Taking a full part in the Destinations 2015 strategy initiated by the Minister for Tourism, Paul Furlan, AQUALIS is no longer involved in initiatives for publishing brochures, maps or catalogues, leaving this field of activity in the capable hands of the Federation for Tourism for the Province of Liège and the four Tourist Information Offices in its region. The thermal baths at Spa have risen from the ground and have now been in operation for almost ten years. The area covered by our initiatives is gradually equipping itself with tourism signs which promote both the identity and the special features of our towns and villages, as well as their wealth of tourism heritage. In addition, despite the economic and financial downturn that started in 2008, out travel agency, focusing on business travel, has grown and supports the economic activity of numerous tourism operators in Ardenne Bleue. This name is gradually finding its way. Several tourism operators refer to it. The associations and clubs in Verviers and the surrounding area recognise it. Events include it in their name. Without removing local identities and the specific nature of each of the four Tourist Information Offices, Ardenne Bleue is part of an identity process that covers the whole of the eastern bank of the Meuse in Liège. It is of course part of the promotion of tourism for the whole province of Liège. In addition, AQUALIS has immediately reacted positively to the transnational process for promoting the Ardennes, in which the local councils intend to take a full part. We have many varied assets. Our know-how is developing and is valued. We certainly still have a long way to go. But, in an approach that is coherent, meticulous and unifying, we can continue to make progress.